Kim Bum Soo (born January 26, 1979, is a South Korean R&B and soul singer famous for his smooth vocals and emotive ballads. Particularly, he is noted for the song (bo go ship da), the title of which means 'I miss you' in English. This song became the theme song of Korean drama Stairway to Heaven. 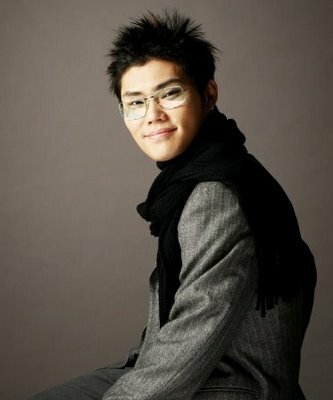 Kim Bum Soo is the first Korean artist to make a mark on the North American music charts, with his song 'Hello Goodbye Hello' ranked as the 51st spot on the US Billboard Hot 100 in 2001. Soo decided upon pursuing a music career at the age of 20, inspired and encouraged after singing with the local church choir throughout his youth. At Seoul Institute of the Arts, Joongbu University, he majored in music. Shortly after graduating, Soo attended an audition where he landed a recording contract with the label 'Team Entertainment.' Subsequently, his debut album was not released for another two years. Soo's 5th album, 'Remember Kim Bum Soo 5th & So Long...' was so titled as a reference to the fact that he released it right before he was about to start his two-year compulsory military service. This is in accordance with South Korean nationality law. Just prior to beginning his service, Soo had produced the song (Oasis), which was released as a track on this. The song has a slightly more commercially American R&B feel than the bulk of his music, demonstrating the stylistic growth Soo has experienced over the years. Soo continues to do performances in several countries within East Asia, but also in other parts of the worldnotably in North America, where Korean pop culture (drama and music) has skyrocketed in popularity within the last decade. Past events have been held in Hawaii, New York, Los Angeles, and Boston, as well as in parts of Canada. Soo returned to his music career after he completed his military service. His sixth album, released in 2008, was titled The Practical Usage of Sadness. While delivering several powerful ballads on this album, he also branched out into new genres, such as on the country tune.